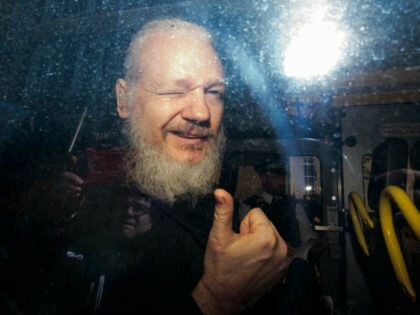 Assange summarised: "the Internet, our greatest tool for emancipation, has been transformed into the most dangerous facilitator of totalitarianism we have ever seen". Julian is a programmer who runs a server hosting "Wikileaks", which allows uploads of (pertinent/leaked) information Without Moderation - which is easily argued to be "free speech" and whistle blowing (a completely legal activity). Julian would not have known the significance of a renegade upload until after a complaint was filed unless he read all uploads before posting. Many websites, including Youtube, do not moderate uploads until there is a complaint upon them. Julian could not have known the clearance and Julian followed industry standard practice (ie, that Google uses). without 2,000,000 security clearances (1 from each nation and sub agencies), Julian cannot have Moderated because he would not know what material was and was not marked as "secure". I think (a) is unlikely as so many people have unsettled legal complaints and fake news is prevailing: no one has time for whistle blowing because alarms are too loud to hear it - and as well people are un-afraid to leak into another country's news media (ie, usa's). wikileaks has allot of un-interesting material it is not a "host of most important leaks ever heard". leaks are not organized by impact.